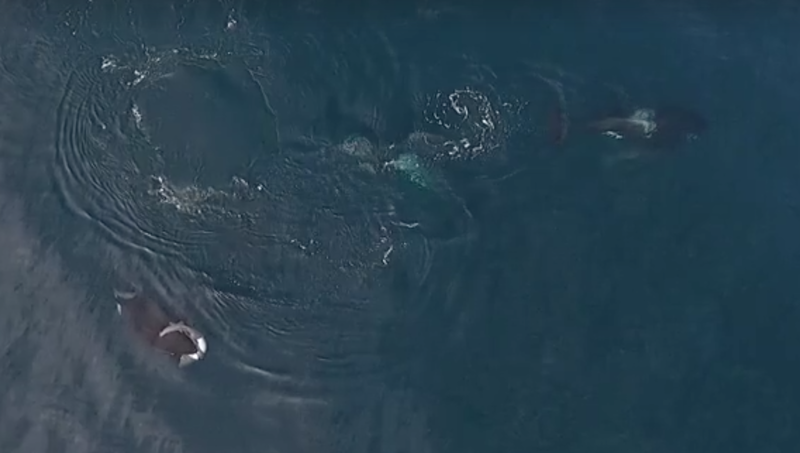 This is an awesome video by Monterey Bay Whale Watch on facebook. They encountered these infrequently sighted Killer Whales on the 9am trip aboard the SeaWolf II. 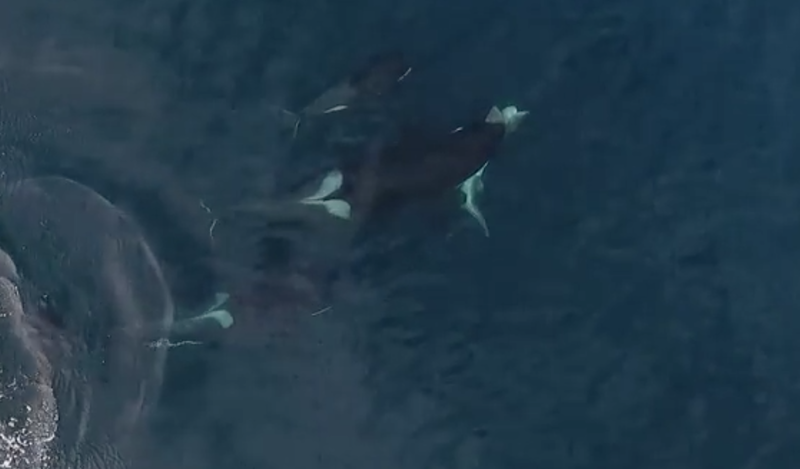 This ecotype of Killer Whales often travels in large groups and were seen about this time last December. 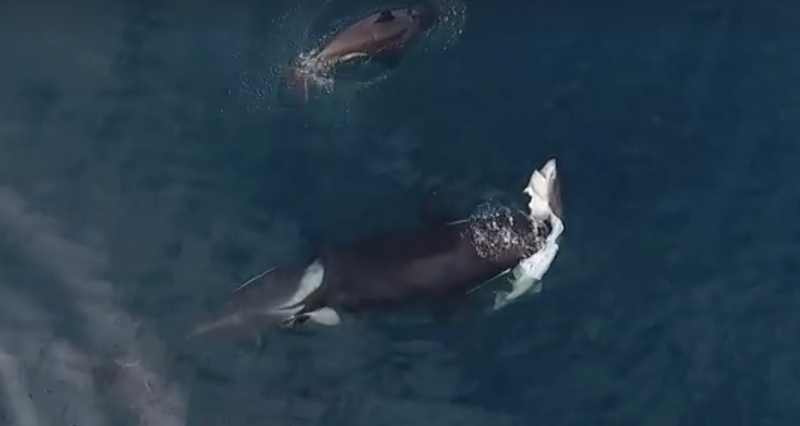 Some of the pack of 25 killer whales eating a Sevengill Shark was captured in a video with a drone! Watch the awesome video after couple of screenshots.